The lower Manhattan skyline is starting to become more identifiable again after a decade or so without any standouts. It has always been less identifiable and beloved than the midtown skyline with the Empire State Building and Chrysler Building. For decades the most notable aspect of the lower skyline was the Twin Towers, which were always less than beloved and notable mostly because there were two of them. The Woolworth Building was once a towering skyscraper but now, although still beautiful, is largely overshadowed by taller but mostly less interesting neighbors. 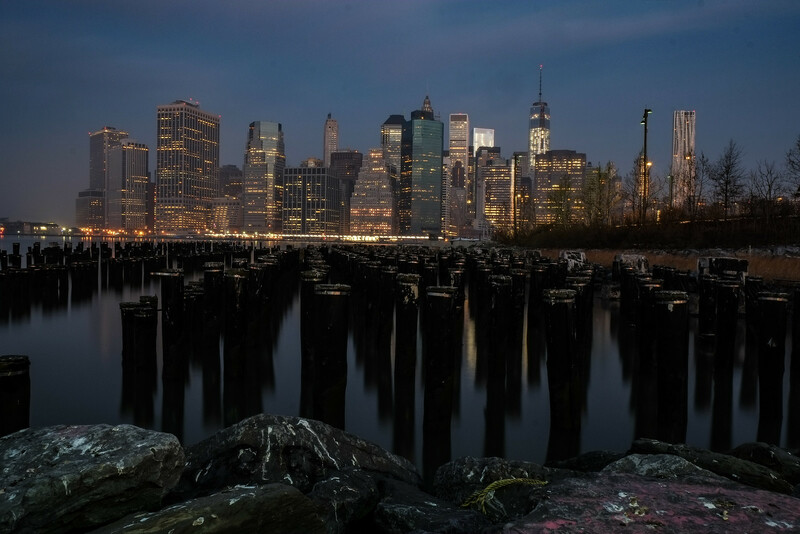 After the destruction of the WTC, the lower Manhattan skyline was missing something. But then the New York by Gehry went up and eventually they did actually complete the new WTC tower and this skyline now has an identifiable character again. The Hole in the Sky is gone.